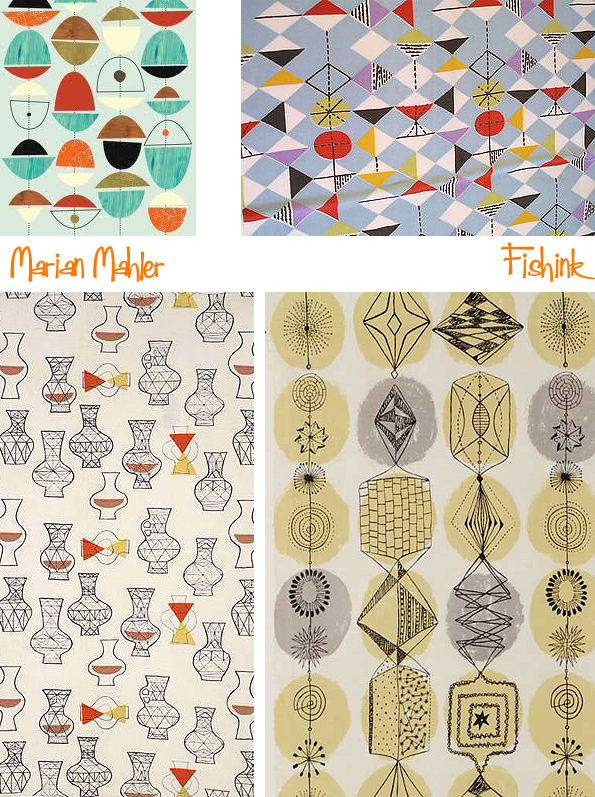 Marian Mahler (1911-1983) Austrian born had trained at the Kuntgewerbeschule in Vienna (1929-32) and at the Royal State Academy, with some of her early designs being produced by the Wiener Werkstatte. 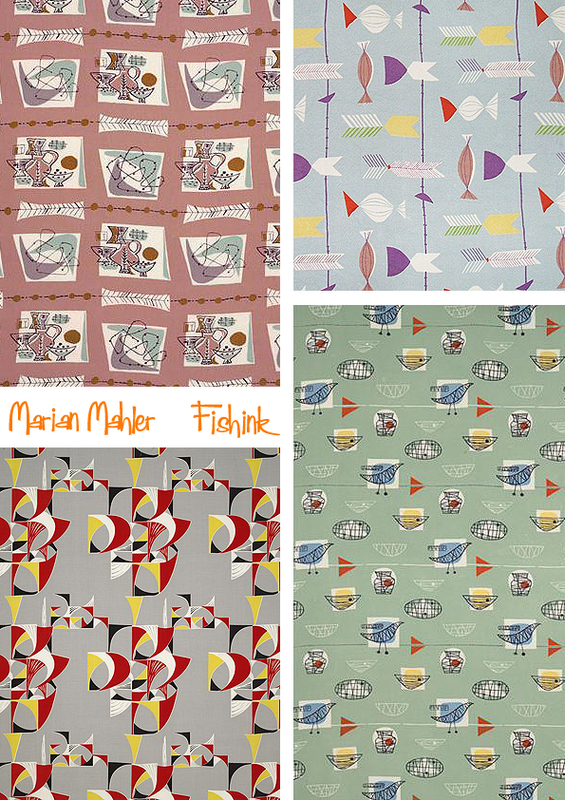 She arrived in Britain in 1937 as Marianne Mahler and worked as a free-lance designer, having supplied leading firms with her designs before the war. 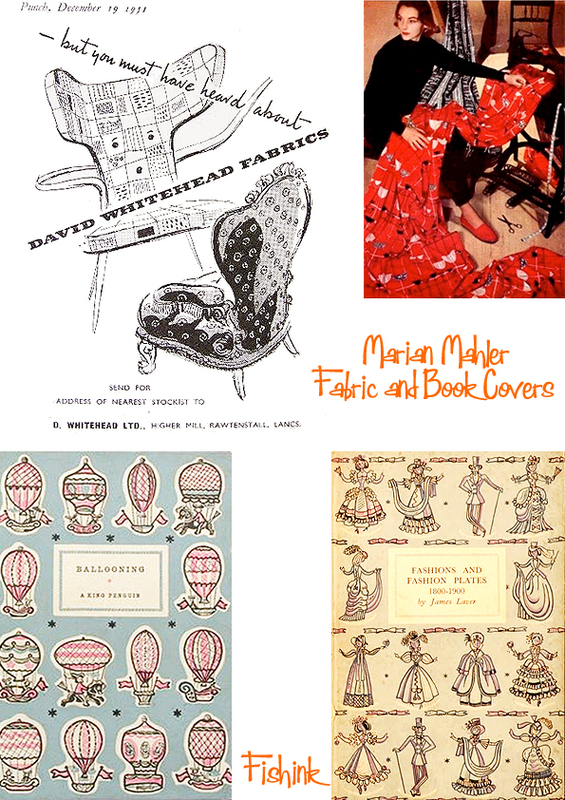 During the early 1950’s she produced many designs for Allan Walton Textiles, Edinburgh Weavers, Donald Brothers Ltd. and Helios. 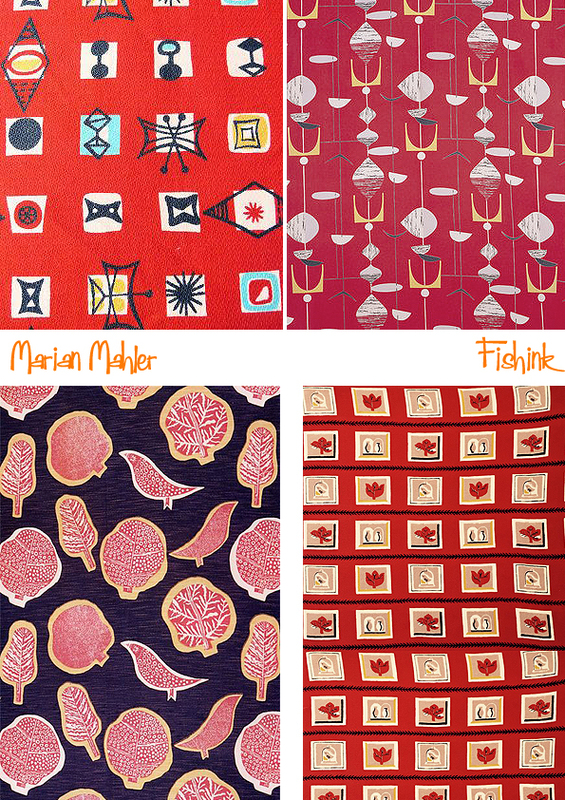 Her best client was David Whitehead’s in his ‘Contemporary Prints’ range. Whitehead’s were Britain’s most dynamic printed textile company, based in Rawtenstall, Lancashire. By 1948 the company was directed by architect Dr John Murray, whose ambition was to establish the Company in the forefront of contemporary design and to make good designs available on the mass market. He wrote an article on his philosophy The cheap need not be cheap and nasty which was published in Design , Dec 1950. Twenty of their designs were chosen to be displayed at the Festival of Britain and on the SS Campania, the touring ship of the festival. She also created a few book covers for Penguin books too. 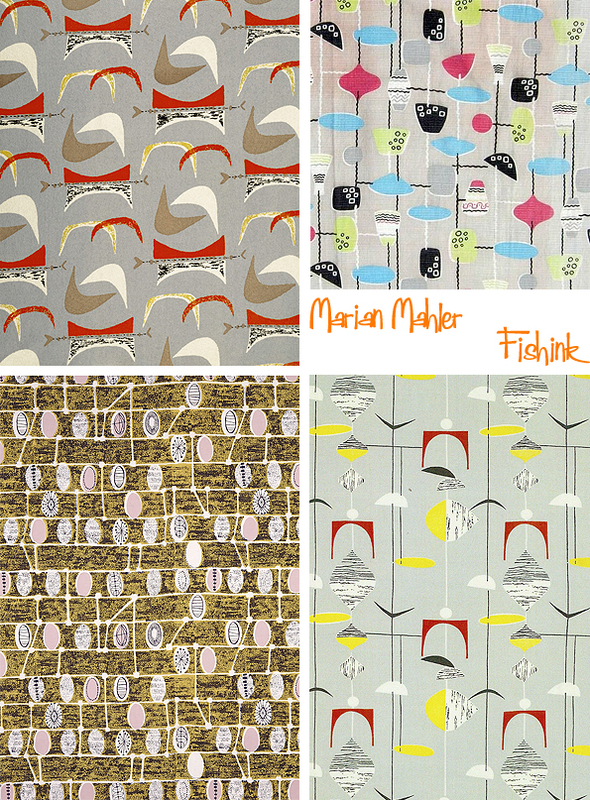 Lovely work and a great influence on British fabrics during the 50’s and 60’s. 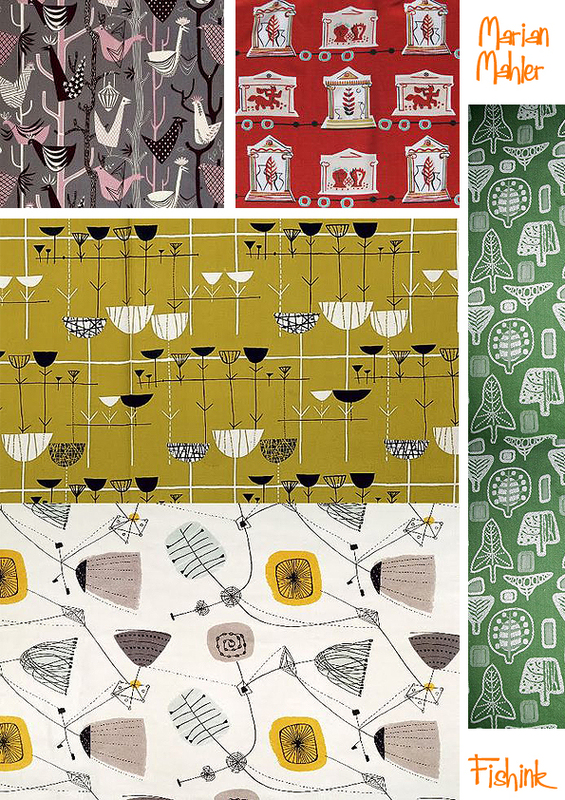 If you liked this post you will also be interested in the one on Lucienne Day and Barbara Brown.